While the temps may be dipping below the 40’s in the sunshine state, it’s official — there is NO SNOW in Florida. 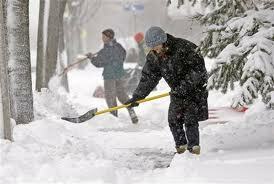 News reports show the north east getting hammered again, predicting more than 2 feet of snow in various locations. The snow can be quite beautiful but treacherous at the same time. Icy conditions cause fatal problems for elderly folks, not to mention being trapped inside for prolonged periods of time. It’s why we yanked my mother-in-law out of Illinois years ago to become a Snowbird. Here in Florida, she gets plenty of sunshine, keeps active and remains in excellent health. At nearly 82 years old, she can walk 3 miles, with just a little sit down at the half way point. The 64 thousand dollar question is, how many seniors will take advantage of the phenomenally low real estate prices to grab a winter retreat in Florida. The sunshine state is chock full of distressed properties just waiting to get scooped up for a steal!! 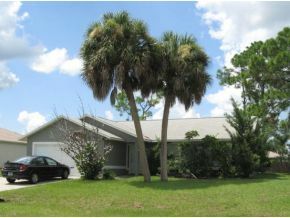 In Brevard County, FL alone there are more than 700 properties for sale $60k or lower. Here’s just one I found, 3 bedrooms, 2 baths and just over 1200 sq. feet for $50k — and that’s the asking price! There were more than 50 others also available for sale with the same criteria in various locations throughout the county. Florida caters to Snowbirds with all kinds of businesses and services designed to assist while your here and when you go back to your primary home. Like Property Watch, who offer peace of mind to their clients in Brevard County, FL by providing a personal approach to the monitoring of their home while they are away. If your buried in piles of snow, trapped inside and craving some warm sunshine, give some serious thought about life as a Florida Snowbird. Just so happens, I am connected to an incredible real estate network throughout the entire state of Florida. My mission is to be an expert with not only every ideal place to live, but to eat, play, stay and enjoy in the sunshine state. You can follow FloridaEpicure (fabulous places to dine on and off the water) and FLFunVacations for Twitter updates! Plus you can click to LIKE Loving Life in Florida on Facebook. Here’s a way to start investigating the possibilities with no cost and no obligation. You can do a property watch and receive automated updates with properties all over the state of Florida that match size, price and all of your preferred preferences, just click here to learn how.